Rocky Athas, known by critics and fans as The Texas Tornado, The Malice from Dallas, The Young Eric Clapton and The Last Great Bluesbreaker Guitarist, possesses an arsenal of punishing guitar riffs and catchy hooks that have opened every door. From his first solo album at Willie Nelson's studio with multi-Grammy winning producer, Jim Gaines, to recording with Buddy Miles and SRV's Double Trouble to Glenn Hughes, Joe Walsh and John Mayall, Rocky has a blues rock pedigree that reads like a Who's Who of musicians. You might not know how to pronounce his name correctly, but you will most certainly remember his playing! With his wonderfully crafted new album "Shakin' The Dust" Rocky is here to announce his return from the international touring stage with The Godfather of British Blues to reclaim his rightful place front and center delivering his musical message with Texas style. 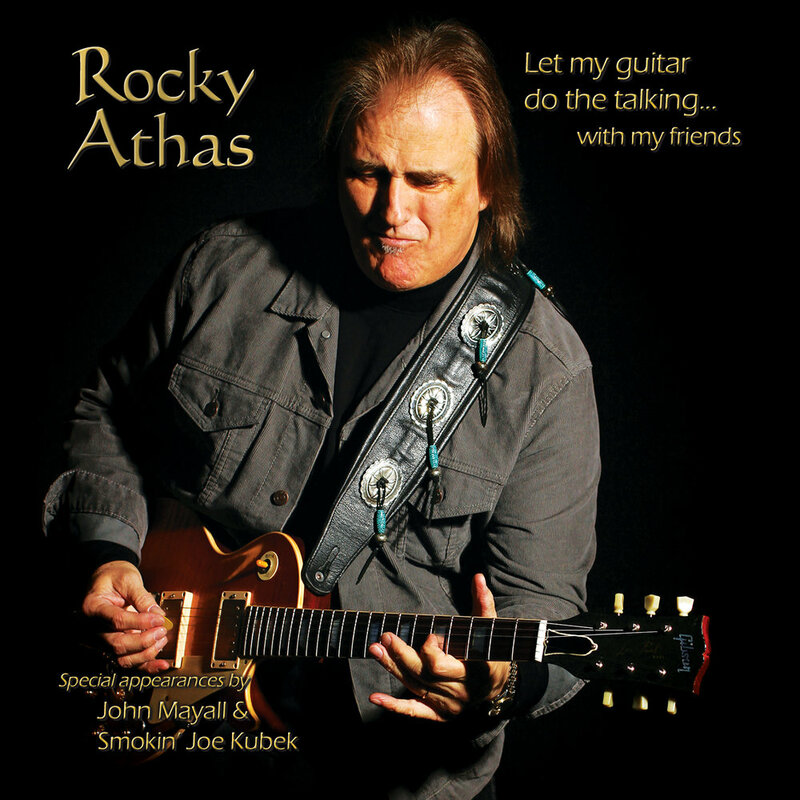 After carrying the mantle of the coveted role of lead guitarist with John Mayall's legendary Bluesbreakers for eight years, Rocky Athas renewed his successfully established solo career. The much anticipated reunion between Rocky's good friend and multi-Grammy winning producer, Jim Gaines, delivered Shakin' the Dust to rave reviews and garnered a nomination for Album of the Year! Partnering repeatedly with Grammy Award-winning producer Jim Gaines, Rocky Athas has released a series of albums, including Miracle, Voodoo Moon, Lightning Strikes Twice, Let My Guitar Do The Talking...with my friends and his band of Texas musicians wows audiences everywhere they go. At the beginning of his career, Rocky was the creative vortex behind Lightning, one of the biggest draws in Texas nightclub history, regularly opening for national acts. By the age of 23, the Oak Cliff, Texas native had been included in Buddy Magazine's now-legendary list of Top Guitarists - one of the first and the youngest to receive the honor. Rocky shares that honor with Eric Johnson, Jimmie and Stevie Ray Vaughan, Billy Gibbons (of ZZtop), and Johnny Winter. Moving on from Lightning, Rocky began appearing as the lead guitarist for national acts, including the southern rock one-of-a-kind Jim Dandy and Black Oak Arkansas. Two of BOA's greatest hits, "Ready as Hell" and "Wild Bunch", were written by Rocky and feature his playing. While playing with BOA, Rocky was introduced to the Bolin brothers--drummer extraordinaire Johnnie Bolin, and Tommy Bolin (of Deep Purple and James Gang). Johnnie and Rocky cemented a life-long bond as brothers. 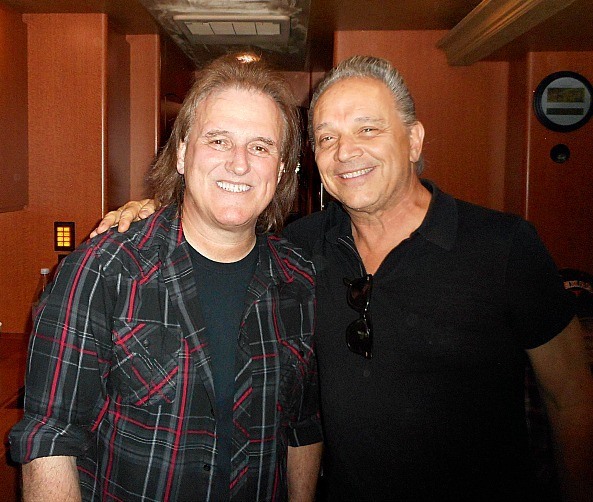 After Tommy's death, Rocky performed, toured, and recorded Tommy Bolin Tribute shows with Johnnie in support of the Tommy Bolin Archives foundation. 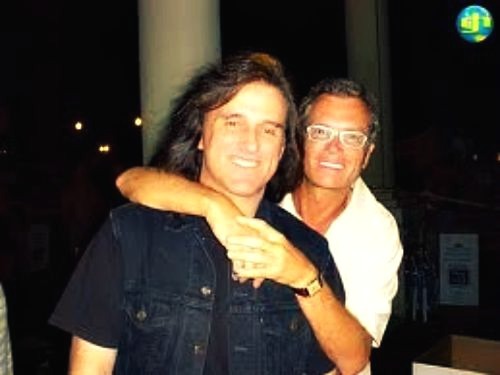 Joining them for these efforts was their friend and amazing vocalist and bassist Glenn Hughes, of Deep Purple and Trapeze. Throughout his career, Rocky has been asked about his friendship with Stevie Ray Vaughan, a fellow Oak Cliff native and legendary guitarist. Rocky is extremely proud of their shared Oak Cliff roots and their friendship. In Kerri Leigh's biography Stevie Ray Soul To Soul, Rocky shares some stories of that early friendship, before either Rocky or Stevie had known music or fame. In 2000, Rocky worked with Buddy Miles and Stevie Ray Vaughan's rhythm section, Double Trouble, on The Bluesberries album for Ruf Records. Rocky also recorded the classic Jimi Hendrix's "The Wind Cries Mary" for Ruf Records' album Blue Haze - Songs of Jimi Hendrix. With Jim Gaines, Sandy Carroll and Jessica Athas at their home for a songwriting session. While working on The Bluesberries project, Rocky forged a friendship with Grammy Award-winning producer Jim Gaines, who has worked with Santana, Steve Miller, Journey, and Stevie Ray Vaughan and who was named Blues Producer of the Year in 2003. As the friendship flourished, Rocky wrote, recorded, and released his first worldwide album, Miracle, produced by Jim. Rocky Athas with The Godfather of British Blues, John Mayall. With a mutual admiration nurtured by thousands of miles on the road together, Rocky was proud to stand next to John Mayall, rockin’ the blues around the world and blazing a fresh, new, innovative sound with the veteran bluesman. In September of 2016, John Mayall announced that he would reduce his performance format to a trio and become his own guitar player. While Rocky no longer tours with the band, he holds nothing but respect and gratitude for its founding member. Click video below to view electrifying live performances by Rocky! Rocky Athas with his vintage 1970 Gold Top "Dickey" in New York City. Photo courtesy of Arnie Goodman Photography.